Malene Mortensen is one of the most prominent, Danish jazz vocalist with an extraordinary CV. She has been touring all over the world and she has been recording under her own name since 2003. Her newest album, CAN’T HELP IT can now be booked for live concert. It is a selection of tunes focusing on everyday challenges, small joys and simple pleasures. This power album is Malene’s first to be recorded outside of Scandinavia. Recorded in New York in March 2014 with an elite American trio. Malene Mortensen looks forward to giving you a memorable concert in the performance of the album “Can’t Help It” where the collaboration with Christian Sands is jazz in world class. 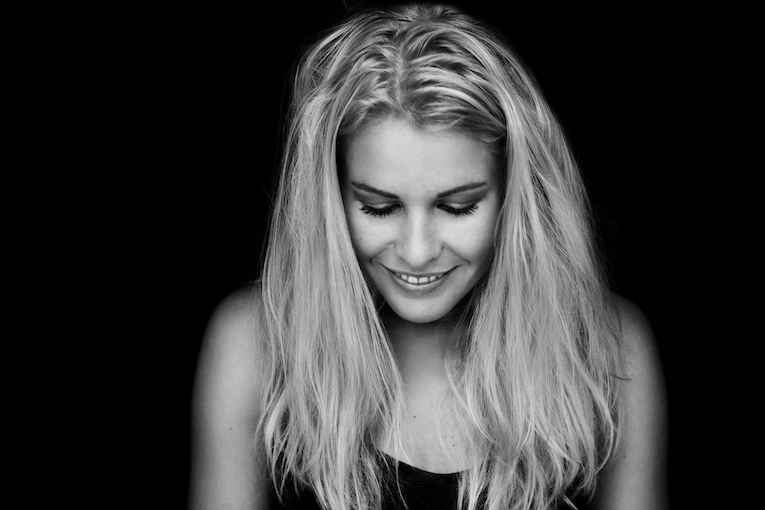 15 years have passed since Malene Mortensen released her first album at the age of 21. From the very start she worked with great musicians like Niels-Henning Ørsted Pedersen, Alex Riel, Chris Potter, Mike Stern, Avishai Cohen, Christian Sands, Terreon Gully, Chad Wackerman, Adam Rogers and Niels Lan Doky. The days when she was a promising young talent are long gone; her voice has many colors, her phrasing grows ever more challenging, and her timbre expands with each new release. Malene is an artist of international stature; she has passed the stage of youthful weltschmerz. Today she can encompass and express all the positive things as well – which isn’t always as easy as it sounds. Over the past ten years – while taking her Master and Soloist degrees from The Rhythmic Conservatory in Copenhagen. Malene Mortensen has performed on jazz stages in virtually every European country, the Middle East, USA, Australia and large parts of Asia with her own trio, as vocalist with big bands or featured guest in various setups – most recently on tour with Kid Creole & The Coconuts . Now we – and the rest of the world – may look forward to hearing live performances of the songs from CAN’T HELP IT.